Founded in 1918, Harrison has evolved from a small community hospital into the region's busiest medical center. 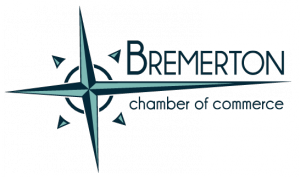 Our not-for-profit organization cares for patients from Kitsap, North Mason, Clallam, and Jefferson counties with locations in Bremerton, Silverdale, Port Orchard, Belfair, Poulsbo, and Forks. Harrison boasts an impressive range of specialties, services, and programs, provided by a staff of 2,300 and a medical staff of 415. Approximately 90 percent of our physicians are board-certified, a figure that ranks well above the national average. Harrison Bremerton serves as the medical center's acute-care center and home to cardiovascular services, including open-heart surgery; oncology; critical care; inpatient and outpatient surgery, orthopaedics, rehabilitation, a sleep center, and 24/7 emergency care.